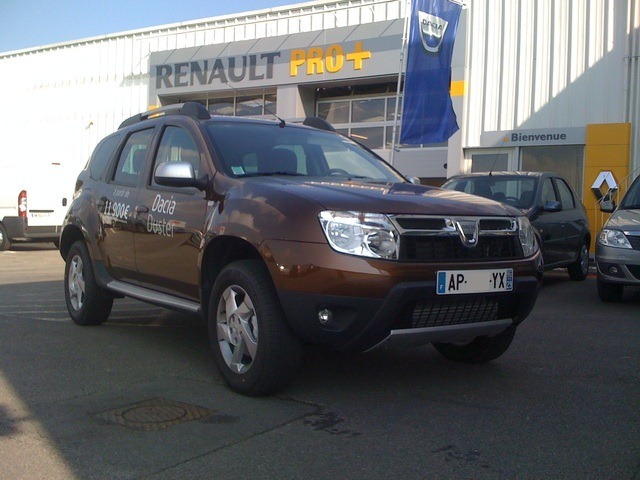 Dacia customers in France can order the 4×2 version of Duster on bioethanol and two other new Euro 5 engines. The two engines are the 1.6 liter and 105 HP and the 1.5 liter dCi and 90 HP. The new unit can be powered both by petrol with an octane rating greater or equal to 95 and or by bioethanol E85. The 90 HP diesel engine is equipped with a particulate filter and replaced the 85 HP version of Duster. The 1.5 liter dCi and 90 HP of Duster emits just 130 grams of CO2 per km and has an average consumption of 5 liters per 100 km. The particulate filter of the engine regenerates automatically without the intervention of a mechanic. The 2WD Ambiance version of Duster, powered by an dCi engine with 90 HP has a starting price of 14.700 euros in France, while the Prestige version equipped with this engine has a starting price of 16.700 euros. The 1.6 liter version of Duster emits just 160 grams of CO2 per kilometer by bioethanol E85 and 165 grams CO2 per km on petrol. The unit is flexible and can operate with either E85 ethanol or petrol, without any difference in operation of the engine. The use of E85 fuel is extremely attractive in France as a liter of E85 costs in average 0.86 euros. I wonder if the Chrysler/Fiat folks like the use of the name of one their old cars by one of their competitors. The Plymouth Duster was a big seller for many years.